The Constable is the man who has brought trouble with social media. In Facebook posted against the CM and was suspended. This event in Karnataka has become a hot topic. Arun, a constable, is performing at Hubli Town Police Station. A few days ago he shared a photo on Facebook. "The new government is about 18 days. Why farmers' loans have not been canceled yet. 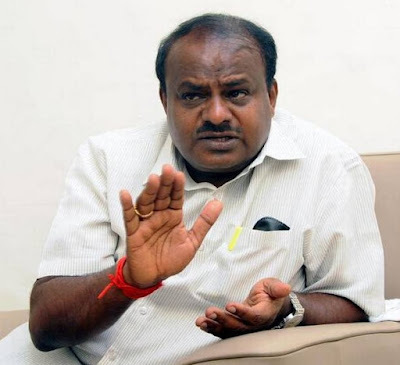 When will the Chief Minister Kumaraswamy be resigning? ' This post was made by Arun Sher. It became viral and reached the police superintendents. The matter was taken seriously and the investigation was conducted. Being a responsible government employee .. to insult the CM and the government. Hubli-Dharwad Police Commissioner Nagara has ordered a suspension of suspension of Facebook posting against the government, irrespective of disciplinary action.